Hello! Just a super quick note from me today. 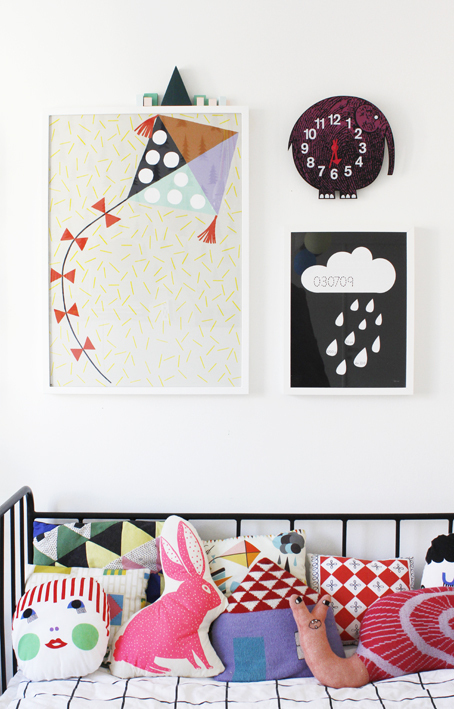 But how cute is this Finnish children's bedroom from fab blog Varpunen? I love all the adorable cushions, I recognise the house one from Danish brand Lucky Boy Sunday. I also love the Elihu the Elephant clock. What a super cute, cosy and fun room! Do you know where any of the other cushions are from? I love the snail one! Could you imagine this style for your (future?) little ones bedroom?